We’re so excited about these miniature bottles of nail polish from Orly. There are loads of great colours that are bang on trend and at only £5.90 a pop it’s really hard to exercise restraint when picking a favourite. Unfortunately, there’s currently no such thing as an organic nail polish. The ingredients needed to make the nail varnish stay on the nail just aren’t available from organic sources, and the water based nail polishes we’ve tried are to put it bluntly, absolutely useless! A product must first and foremost do what it’s supposed to, so nail polish that gives poor coverage or chips off in moments is not worth buying. No such problems with Orly nail polish. The brand excludes the main undesirable ingredients usually found in nail polish, namely formaldehyde, DBP and toluene and it works beautifully. Coverage is excellent and applied properly with a suitable base and top coat we’ve found that Orly nail polish really lasts. Although for professional use the large bottles offer the best value, we think that Orly minis are definitely the way to go for use at home. They are really great value so there’s no need to restrict yourself to just one colour and there’s plenty in these small bottles for the average home user. After all when did you ever get to the end of a bottle of nail varnish? Take a look at the full range and “like” or “share” your favourites so we can see your favourites. If you’re not keen on clogging your pores with aluminium, whilst inhaling a cloud of irritating allergen laden synthetic fragrance, then you’ll probably want to steer well clear of the majority of antiperspirants you’ll find on the high street. Does it really work? That’s probably the most frequently asked question about organic deodorant, and the short answer is yes. If you choose the right one (we can help with that!) and know what to expect then organic deodorant is great and has a lot to recommend it over its high street alternative. Deodorants and antiperspirants are not the same thing. Deodorants help to stop us smelling while antiperspirants aim to stop us sweating. The super dry effect that we so often seek is the work of an antiperspirant. Modern antiperspirants suppress the body’s vital function of perspiration by using aluminium salts like aluminium chlorohydrate to block the pores and prevent the perspiration coming out. Although we like the feeling of dryness under our arms this is actually a signal that we have prevented our bodies doing what they are supposed to. Sweating is one of the key ways our bodies get rid of toxins and blocking up our pores we are hampering this process. So perspiration is not necessarily a bad thing, but how to avoid being a smelly billy no-mates? In fact perspiration does not smell bad; it’s the bacteria that feed on the dampness that cause the unpleasant smell. The way to avoid this is to use ingredients that will not allow the bacteria to thrive. Organic deodorant that works uses ingredients such as potassium alum, or ammonium alum, otherwise known as crystal deodorant to inhibit bacterial growth and prevent smelliness. Organic deodorants won’t clog your pores or inhibit your body’s natural functions, but they will keep you smelling sweet! We test deodorants thoroughly before adding them to our range, because if it doesn’t stop you smelling then it’s not a deodorant is it? Our favourite and the first roll on deodorant that worked well enough to gain our seal of approval was the Gentle Control range by Green People. Rosemary has a warm herbal scent, Aloe vera is sweeter and fresh and No Scent is completely free from fragrance for those with extremely sensitive skin. There are also 2 versions for men, Stay Cool with mint, lavender and eucalyptus or Stay Fresh with thyme, lemon and clove It uses potassium alum to limit the growth of bacteria and essential oils to give a pleasant scent. Our most recent addition to our deodorant range is the Madara Herbal Deodorant. It has a large and comfortable roller ball and pleasant herbal fragrance and is fast becoming a best seller. 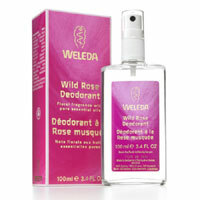 If you prefer a spray then Weleda’s deodorants are our top recommendation. They contain alcohol which limits bacterial growth and therefore stinkiness and they are great to keep in your bag for a refreshing spritz of the lovely natural scents throughout the day. 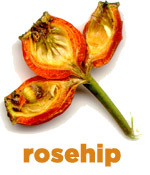 Consumer trials found that the rose fragrance lasts up to 9 hours. Why choose an organic deodorant? • Modern antiperspirants suppress the body’s vital function of perspiration by using aluminium salts like aluminium chlorohydrate to block the pores, our natural deodorants do not. What are you waiting for? UK delivery is Free on orders over £30 so why not order an organic deodorant that works today? If the changing seasons have left your skin feeling out of sorts, it could be time to add a little extra pampering to your routine. When the temperature changes, skin can be left feeling parched. The featherweight serums of summer just don't have enough oomph to leave your skin comfortable once the colder weather arrives. One simple solution could be to boost to your skincare routine with the addition of organic facial oil. Packed with essential fatty acids, which help to nourish the skin and protect the skin’s natural acid mantle, facial oils deliver an intense moisture hit to your skin. Applied to freshly cleansed damp skin they absorb beautifully, and will not leave your skin greasy. Go sparingly just 1 or 2 drops massaged in until absorbed, is usually enough. Facial Oil can often be the perfect solution if you find your foundation is not sitting well on your skin too. Particularly if you find it absorbs too quickly and feels like its dragging as you try to blend it. Simply apply a couple of drops of facial oil and then put your foundation on top. it will help the foundation spread smoothly over the skin and then as the oil absorbs it will leave your foundation beautifully blended with a dewy finish. Seed & kernel oils such as jojoba, rose hip, argan and borage, have a fine texture which make them absorb rapidly in to the skin without leaving feelings of greasiness, even on skin prone to oiliness. Our organic face oils are packed with pure organic seed oils with amazing skincare benefits rather than highly refined and processed oils that contain additives and petroleum based by products. They really are a treat for your skin and are a sure fire way to give your summer skincare routine an upgrade. 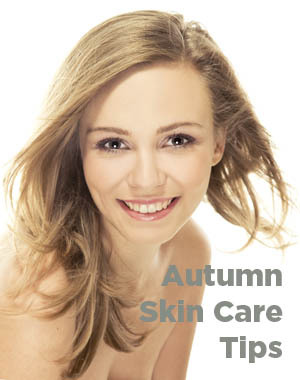 New season skin care tips for Autumn. Now’s the time to give your skin the boost it needs to cope with the heating being turned on and the arrival of the autumn chill in the air. Here are my top picks of new season skin care at its best. One of the pioneers of natural beauty, Dr Hauschka makes highly effective skincare whilst sticking to the strictest biodynamic principles, so I never need question the integrity of their ingredients. 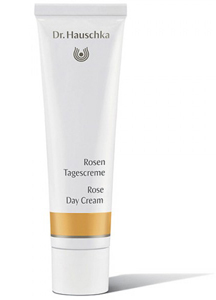 When confronted with cold weather reach for their Rose Day Cream £29.50 for immediate relief. This super rich moisturiser is excellent for protecting cheeks and noses from cold, wind and harsh weather. Don’t go on autumn walks without it. It’s made with organic Avocado and Shea Butter, rich moisturisers provided by nature to give intensive protection from the elements. 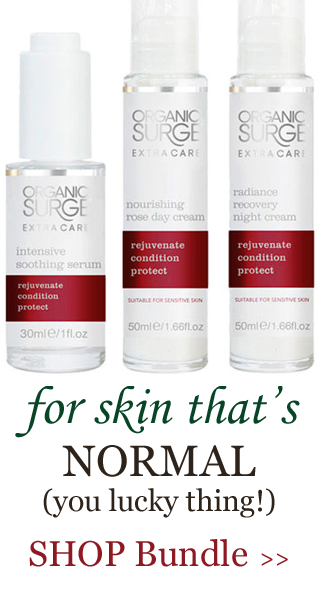 For Autumn Organic Surge has a selection of products in their Extra Care range that is ideal for sorting out cold weather skincare woes. These truly are deeply luxurious products at a great value price. The full range is in stock now and has been specially formulated to reveal a renewed, revived and radiant complexion. Organic Surge’s clean skin care policy means that you can be sure that whilst being packed with bio actives and skin boosting ingredients; these products contain no parabens, synthetic fragrance or petrochemicals. I absolutely love their Intensive Soothing Serum £23.50, for giving my skin a moisture boost and healthy, plumped glow. Team it with their Replenishing Facial Oil £23.50, and you have a powerful partnership of product to tackle both dryness and dehydration of the skin, the two main autumnal skin complaints. Both are great boosts to your existing skin care regime; just apply under your usual day or night cream. One last tip! Don’t wait for your lips to crack before you grab your new season lip balm. Choose a pure organic salve now and slick on regularly to keep your lips soft and kissably smooth whatever the weather. 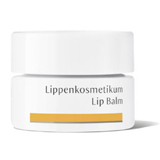 My must-have balm is by Dr Hauschka and comes in a pot (£10.25) or a stick (£9.25). Yes it’s pricey, but oh so worth it, your lips will thank you! Enjoy. To make things easier, we've put lots of products ideal for the colder weather into one easy to shop department. If you have any questions on concerns about any aspect of natural skin care, drop me an email to help@SoOrganic.com. I’d love to help. Long standing favourites for their natural toiletries with yummy scents, Organic Surge have gone premium with the launch of their luxurious Extra Care range. The formulations are a delight to use with fine textured oils and silky serums that feel like they should cost a whole lot more. The entire range is suitable for sensitive skin but caters to all other skin types too with an Ultra Light oil control lotion for combination and oily types, and a feather light Facial Oil that dry skin will adore. Here are our recommendations for how to incorporate the range into your day and night time routines and really give your skin care an Extra Care boost. 1) Cleanse – Even if you cleansed before you went to bed, skin secretes toxins overnight so a morning cleanse will help to remove these. Take your cleanser into the shower if you’re short on time. 2) Serum- Use in place of a traditional toner to leave skin soft and velvety. Extra Care Serum restores radiance and relaxes skin to give a visible improvement in lines and wrinkles. 3) Facial Oil or Oil Control Lotion – to help bring the skin into balance adding extra moisture to dry skin and counteracting oil in greasier skin types. Oil control lotion gives a perfect matte base for make up too. 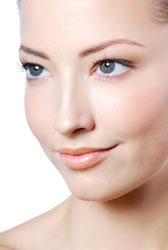 4) Eye Cream – To protect the areas prone to first wrinkles. 5) Moisturise – The final step to ensure skin has the moisture and hydration it needs and provide a good base for makeup. 1) Cleanse – the night-time cleanse is crucial, removing all traces of makeup and pollutants allows skin to breathe and prepares it to receive extra moisture. 2) Serum – Aloe vera and hyaluronic acid provide skin with intense hydration which helps to minimise the appearance of fine lines as skin feels plumped and firmed. 4) Night cream – Take advantage of being able to use a rich cream without your make up sliding off. Extra Care night cream is rich but not heavy. Enriched with Argan oil renowned for its anti ageing properties.